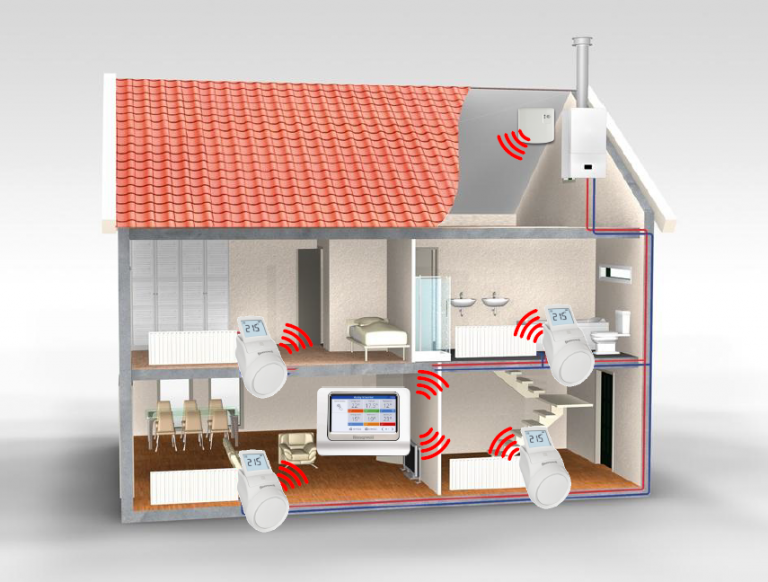 With smart Honeywell evohome system can now heats every room in your home individually. significant savings up to 37% on energy costs. Regulation of heating with top ERP energetic lassie (multizone – Class VIII). Good for your wallet and the environment. the solution to the problem classic bathroom and baby / children’s problem, both for renovation and new construction. With the ingenious evohome system henceforth remain bath and baby / children always at the desired temperature at the right time; and this without the need to heat the entire house. So you do not have to worry about the temperature in the baby / children. With evohome system remains eg. At night always assured a stable ideal 18 degrees. But in the morning going to work for you, the bathroom is preheated nice to have heat again without the full house. automatic control of heating space per room. Open and shut off thermostatic radiator valves in order to save heating costs is history. Open the evohome system and radiator valves close automatically. Copyright © 2019 Bel ons: 0474 23 81 44.